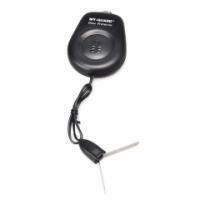 Door Alarm KS-46 are used as door protector and only require a pair of UM-5 batteries to make it functional. Lightweight, suitable for attaching onto doors. Loud noise to notifying the carrier and fend off unwanted individual. *****We also welcome new design and specification you would like to develop for this product. Please feel free to contact us.